In a Nutshell: Every year, millions of tourists flock to Italy — and many parts of Europe — in search of some the world’s greatest works of art. Cities themselves and their museums say much about the history of different cultures. While guidebooks fail to disclose most of these locations, ArtTrav leads you to some less widely known travel, art, and cultural destinations in Italy and Europe, with art historical details and exhibition reviews designed to appeal to the sophisticated, return traveller. The website’s founder, Alexandra Korey, has a Ph.D. in Renaissance Italian art history from the University of Chicago and shares her expertise on the site through posts, photographs, and other interactions with travelers on-site and through social media. Generations of travelers have depended on guidebooks to research popular attractions and get tips from locals on destinations around the globe. Over time, these well-worn paperbacks eventually found their way to used bookstore shelves, where they collected dust until the information on the yellowed pages was too outdated to be reliable. Such is life in the tourism world. One moment, your destination is all the rage, and, the next moment, the travel guides that sang your praises are sitting on the dollar rack with cities once considered hotspots that tourists now find old and boring. But some cities and countries never go out of style. Like a glass of fine wine or a painting cast from the hand of a master, these destinations only get better with time. Art lovers already know of Italy’s contribution to many artistic movements over the centuries — from works by Michelangelo to Caravaggio and further down the list of names that reads like the history of creative expression. So it’s only natural that admirers of the arts would list a trip to Italy somewhere on their bucket list. But modern guidebooks tend to only focus on a few key pieces of art housed in the country and neglect the hundreds of other monuments and important installations in cities like Florence, Rome, and beyond. That was a problem Alexandra Korey faced when she moved from Toronto to Florence in the late ‘90s as a graduate student in Art History. Her studies required her to spend a month in Rome and no guidebook seemed to list the information or the depth of knowledge she wanted. Today, those writings extend well beyond Florence and make up ArtTrav, one of the most comprehensive online blogs dedicated to art and travel in Italy and Europe. Korey writes and photographs nearly all of the pieces on ArtTrav and uses her vast education to make the arts more accessible for enthusiasts of all backgrounds. Posts on the site typically cover reviews and guides for museums, public art installations, and even her budding love of wine — of which Italy suffers no shortage. 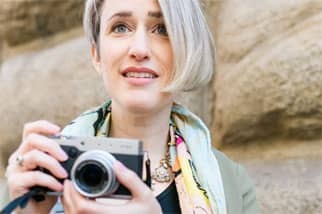 If you’re planning a trip to Italy to see its artistic treasures, consider these tips: Most non-branded travel reward credit cards will reimburse for flights, cruises, or hotel stays at any location and with any brand, while branded credit cards may be more particular with your choice of travel provider. Either option typically provides an online portal to access your account and cash in rewards for either statement credit, cash, or immediate discounts on your travel expenses. 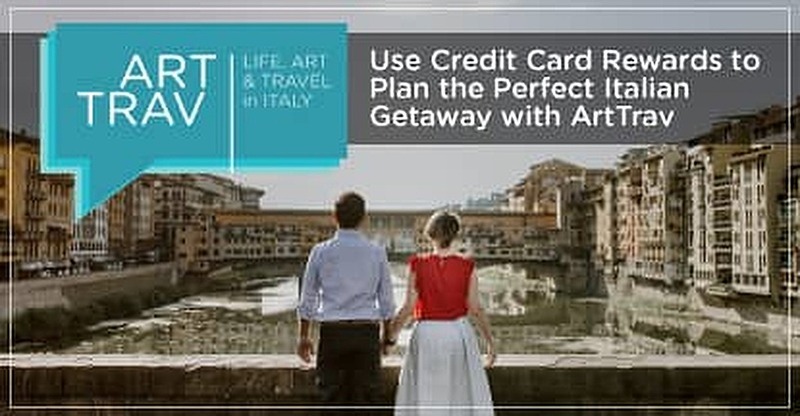 Depending on the number of rewards points or miles currently in your account, you could be well on your way to using ArtTrav as your guide on a memorable trip to one of Italy’s many artistic destinations. Korey contributes exhibition reviews, museum guides, and in-depth information about many famous works and locations travelers will want to visit, like the Cinque Terre or the Ponte Vecchio. Recent posts have detailed her growing interest in wine, including several write-ups on Italian winery visits and interviews with winemakers. 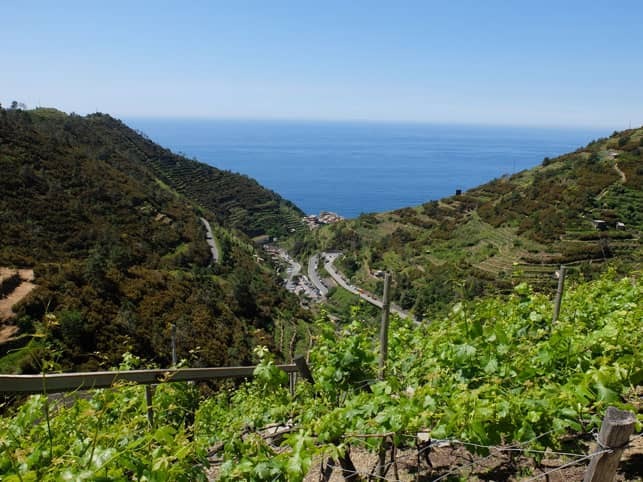 Alexandra Korey shares photos of her trips, including this shot of a vineyard in Manarola in Cinque Terre, Italy. Although the artworks Korey details on her site are inspirational to the millions of tourists who visit them each year, the actual website became Korey’s source of inspiration. Once determined to become a professor of art history, her experience with ArtTrav prompted her to pivot in her choice of careers. “Having learned all this stuff on my own, I went into working in blogging and social media instead of university teaching,” she said. “Now, I lead a team in digital marketing at the Florence-based communications agency, Flod. Korey traveled to Florence from Toronto as a study abroad student in 1997. Despite being more than 4,000 miles from home, and in a land that spoke a language she was only vaguely familiar with, she said she felt right at home. Alexandra Korey is the Founder of ArtTrav. “When I came back for a Master’s degree a few years later, I spent time traveling around Tuscany a bit more and soon after that, met the man who would become my husband,” she said. Korey met Tommaso while taking German classes, which she needed to apply to a Ph.D. program in art history. That was the start of what she calls her favorite travel story. The not-yet couple visited Niki de Saint Phalle’s sculpture park with walk-in sized statues decorated in mosaics near Capalbio in Southern Tuscany, in an area called Maremma. “We fell in love there, and returned year after year to the area, finally buying a house in Maremma some seven years ago,” she said. Whether you’re experienced in travel through Italy and Europe or you’re planning your first voyage to these centers of culture, ArtTrav covers the art and lifestyle in ways no guidebook can. The constantly updating and evolving coverage of museums, monuments, and other artistic destinations keeps travelers and locals alike abreast of things they should add to their travel itinerary. Korey’s passion shows through her writing and love for the art she covers. Her ability to make the art of Italy accessible to readers around the globe make the website a tremendous source of information for anyone who has an upcoming trip or dreams of one day traveling to the country.